Bromo midnight tour will start from Surabaya area, our guide and driver will pick you up at the hotel or airport at 11.00 PM. And then, we will drive from Surabaya to Mount Bromo area for about 3-4 hours. 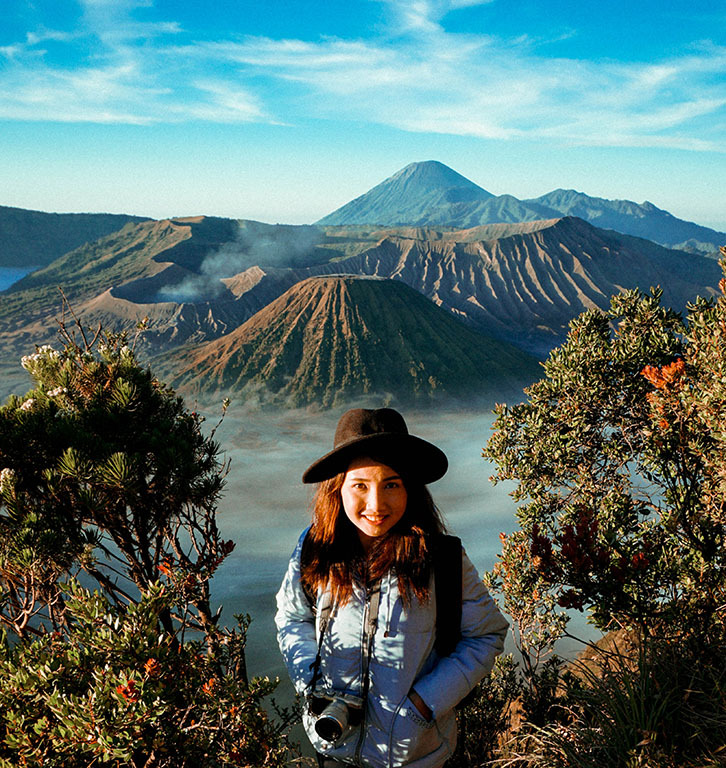 Upon your arrival in Mt Bromo area, you will let know your jeep by your guide and Bromo sunrise tour will be started around at 3.30 AM (when you come to Mount Bromo on the weekend, we have to start the tour earlier), the jeep will bring you to the most famous viewpoint on Mount Bromo area. That is Penanjakan hill, from the hill we can see the best sunrise in East Java with mountains and volcanoes as a background. Afterward, the jeep will continue your adventure holiday to reach the sea of sands in Mount Bromo area. We will stop at the parking area then you will cross the sea of sands by riding a horse or on foot (it is optional) till reaching the stairs at the slope of Mount Bromo where it will lead you to reach the peak of Mt. Bromo. After enjoying the volcanic activity on the top of Mount Bromo, you have to go back to your jeep then the jeep will bring you back to the hotel for breakfast, take shower, packing, loading bags into our car afterward we will continue our trip to the Airport in Surabaya. The trip will take about 3-4 hours. If you can start to finish Mount Bromo tour in the morning & the weather good enough, you will have a chance to visit Madakaripura Waterfall during the way from Surabaya. Please check the picture of Madakaripura Waterfall on the Internet. Pick up service from Surabaya & transfer out to your hotel in Surabaya.